Diamond Dave Shaddix hopes you are, and he’s ready to get you in the mood with this outstanding sculpture of an Arizona Cardinal’s helmet. 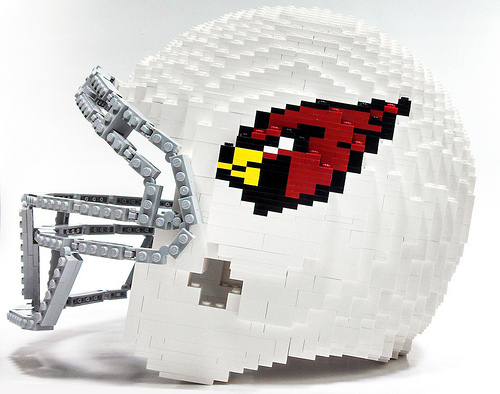 Lucky Dave was commissioned by the NFL franchise to build both the helmet and a mosaic for the upcoming season. While it doesn’t quite match the cool-factor of Dave’s other high-vis commission from world-famous illusionist David Copperfield, it is impressive nonetheless. Although the dome-protector won't save you from concussions, it is quite wearable. 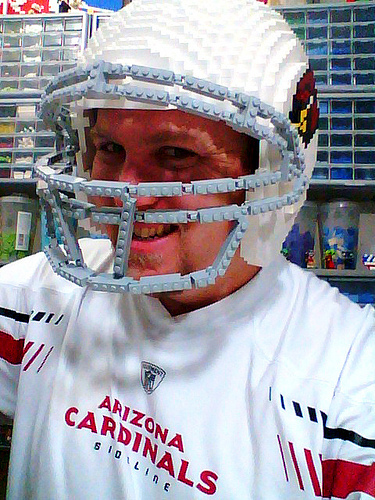 If you want to check out the helmet, sans Dave, it will be ensconced in the Arizona Cardinals HQ in Tempe.